Have you ever wondered just what kind of attention participating in the International Blues Challenge can draw? Just take a look at this year’s Blues Music Awards. Four acts who have participated in the IBC combined to win six of the awards handed out this year: Lisa Mann, Cedric Burnside, Mr Sipp, and the biggest winner of the year, Victor Wainwright, who took home the BB King Entertainer of the Year and Best Band honors. Aside from those four, these former IBC acts also received nominations: Fiona Boyes, Karen Lovely, Brandon Santini, Jarekus Singleton, Sugaray Rayford, and Jason Ricci. All received international attention through their appearances at the IBC. 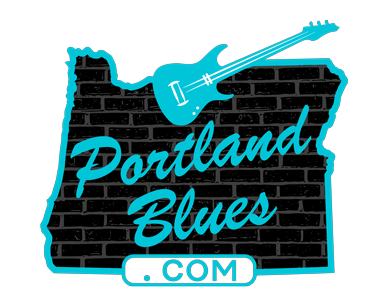 But, to perform at the IBC, all acts are required to go through regional competitions held by affiliated members of The Blues Foundation, such as the Cascade Blues Association. So, for the seventeenth year, the CBA will be holding the Journey to Memphis competition to select our representatives in Memphis next January. The applications are in, the dates confirmed, and the sets have been scheduled for the opening nights of this year’s Journey to Memphis. This is going to be one of the largest fields ever to participate in our competition. Nineteen acts will appear in twenty minute sets, ten each night, on Friday, June 3 and Saturday, June 4. The Rose Room, 8102 NE Killingsworth, will host the event, and admission each night is $10.00, which is the base for our prizes for the overall winning acts. Four acts, the two highest scoring from each night, will move on to the Waterfront Blues Festival on Monday, July 4, on the Front Porch Stage. Please note: schedule times are subject to change. We have had acts drop out prior to the event in the past, which can cause rearrangement of set times and dates. We will keep you informed of any changes on our Facebook page.